scientific collection « Nothing in Biology Makes Sense! 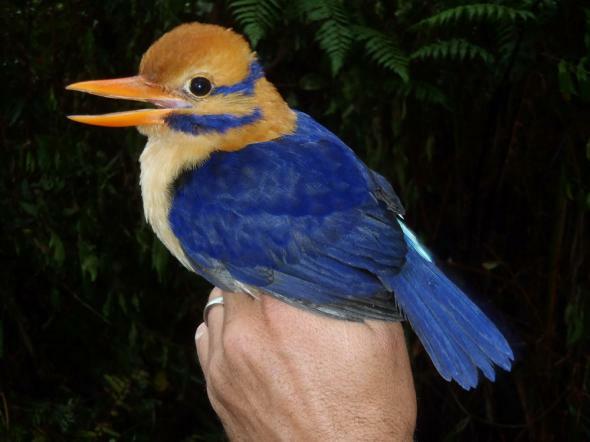 Over at Huffington Post, Marc Bekoff, recently wrote an article lambasting Christopher Filardi for collecting a Moustached Kingfisher, a rare bird endemic in the Solomon Islands. Now, there are two sides to this particular controversy, and I am going to do my darnest NOT to pick one. Side one: How dare you kill that kingfisher! Side two: You need these kinds of specimen for conservation. And biology. An excellent public post was written by my friend Josef Uyeda here. Additionally, Dr. Filardi himself responded justifying his decision, and why specimens are important over at the Audobon society. Was it right or was it wrong? You decide.